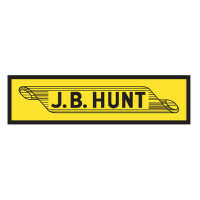 J.B. Hunt is a transport and delivery company named after its founder Johnnie Bryan Hunt who stayed on with the company up until his retirement in 1995. To find out how to apply for J.B. Hunt online follow the link at the bottom of the page to see the best way to submit your J.B. Hunt application. The company began in Lowell, Arkansas all the way back in 1961 with just five trucks and seven trailers. Now, they have expanded to one of the top 100 largest transportation firms in the United States, with operations also in Canada and Mexico. The company now has over 12,000 trucks and 19,000 employees across their locations. The company runs a variety of different services with different types of trucks. There are four different segments to their services: Dedicated Contract Service which focuses on long-term contracts, Intermodal which works with the BNSF Railway Company carrying out deliveries, Integrated Capacity Solutions running specialty services and finally the Truck segment operating tractors on roads and highways. J.B. Hunt has six main points that it believes makes it superior to its competitors. These are Value, People, Innovation, Sustainability, Safety and Technology. They are able to boast an impressive safety record with no major accidents from any of its drivers. They have been awarded the highest rating by the Environmental Protection Agency. There are many different J.B. Hunt jobs available for Drivers either on a lease or owner-operator basis. You can have the option of working locally or regionally as well as a choice of different types of trucks and machinery so that you can fit your career around your needs and lifestyle. Drivers need to be licensed and have at least 6-12 months of experience. You can also find J.H. Hunt careers in their corporate offices and branches. They are accepting applications for a wide variety of different jobs. The departments hiring include Administration, Recruitment, Engineering, Finance and Accounting, Human Resources, Information Technology, Marketing and Advertising, Operations, Sales, Safety and Claims, Pricing and Yield Management and Telecommunications amongst others. How old do you have to be to work at J.B. Hunt? You must be at least 18 years old to apply for jobs at J.B. Hunt. Most employees of J.B. Hunt jobs will enjoy the benefits of a comprehensive benefits package including a choice of medical, dental and vision insurance plans as well as company-matched 401(k) retirement plans. Drivers are also paid on a weekly basis on an honor system, so there’s no waiting for your pay. Jobs at the corporate offices also provide access to fitness facilities and other amenities. The hours of operation for offices and deliveries are 24 hours a day, 7 days a week. There are different shifts available and the hours for truck drivers will differ depending on the exact position. Local Truck Driver – There are a few different types of local truck drivers, they can have accounts where they are dedicated to a single customer or have more traditional delivery jobs for appliances and other items to multiple customers. These roles often mean that you don’t have to travel far out of your own area. The average salary is $50k/year. Regional Truck Driver – The responsibilities for a Regional Truck Driver will obviously mean travelling further afield than the local drivers, making deliveries of various items to customers. However, there is usually a firm schedule that will mean drivers are home for most weekends. The salary is up to $60,000 a year. Branch Manager – As a Branch Manager you will have the opportunity to run your own branch with the full backing of the J.B. Hunt corporation behind you. You will be responsible for all aspects of the branch including hiring and managing staff, handling the accounts and driving sales. The salary can be upwards of $70k/year. Internships – There are always many job opportunities for talented interns in the departments of Engineering, Information Technology, 3rd Party Logistics/Brokerage and Operations. These positions are for students currently enrolled in a college program and will allow candidates to gain valuable professional experience. Internships are generally paid at a rate of around $11-12/hour. It’s always a good idea to be well prepared for your interview by practicing some typical questions after you’ve submitted your J.B. Hunt application. Are you willing to relocate? This is a nationwide business and preference may be given to candidates who are able to move to different areas. It may not be necessary in the first instance but can often help to move up in the business. How do you approach difficult problems? Especially in leadership roles, problem solving is a very desirable skill so outline your method for it. Try to pick a specific example from your employment experience to help illustrate your answer. Tell me about a failure you’ve had in the past. When you describe this, try to pick something relevant to the job description, an incident where you can show what you learnt and how you apply it to yourself. Tell me about your experience. This is especially important for truck drivers as they will be looking for people with a certain amount of experience in driving, deliveries and operating machinery. How would you handle a difficult employee? For leadership roles it will always help to have experience and again it’s a good idea to demonstrate this with specific examples. You can search for J.B. Hunt jobs online and find all the many types of opportunities for working in this industry: driving, corporate and maintenance. For office and maintenance jobs you can submit a J.B. Hunt job application online by selecting the position you want and fill in the online application form with your resume. There are different ways of applying for Driver jobs depending on the exact type of position you are looking for. For some positions you can apply online through the Dedicated Customer Services, Intermodal and Truckload. For some roles you can request a free application in branch but it’s best to make a direct application through one of these routes. You can’t download a printable application for J.B. Hunt. The types of interviews and interview questions will be varied as the types of careers available are very different. However in all interviews it is very important to maintain a positive attitude throughout. It’s best to focus on your experience and explain why it is relevant to the local office or position you’re applying for. There are a couple of tips that are always handy in any type of interview. It’s important to maintain eye contact with the person interviewing and remember to smile at appropriate moments and be friendly throughout. Start and finish every interview with a firm handshake. It might be necessary to follow up after an interview by phone or email. Randstad: For employment at Randstad visit the application page. Landstar System: Use the Landstar System job application to apply here. Time Warner: Visit the Time Warner application. Holland USF: Visit the Holland USF application. Duke Energy: See our resource page for more information on Duke Energy careers.